A reader in Los Angeles contacted me and asked my opinion on the Hyper Vest Pro Weight Vest from Hyperwear for osteoporosis exercise. Weighted vests are a popular exercise items for people with osteoporosis who want to weight bear throughout their body when they exercise or are active throughout the day. We have done a number of reviews of weighted vests for osteoporosis and the response from you has been positive. I also have published a review of the Hyper Vest Elite. Here is my video review of the Hyper Vest Pro. There is a transcript of my video review at the bottom of this blog post. I have also provided a link if you are interested in purchasing the Hyper Vest Pro Weight Vest. The Hyper Vest Pro is made from a stretchy fabric that fits comfortably on your body. It has draw-strings on each side allowing you to get a nice fit — like a corset from days past. There are multiple mini pockets that accommodate the individual weights. This allows you to gradually and progressively increase the weight of the vest and distribute the weights around the vest. It is the most balanced weighted vest I have ever tried because of the fabric, the distribution of the smaller weights, and the draw-strings. Because of its snug, balanced and comfortable fit, the vest allows dynamic movement exercises such as jumps. The material allows you to fit the vest snugly without causing constriction of breathing. Removing and inserting the individual weights can be time consuming and arduous. If you want to gradually build up the overall weight of the vest, you will be have to remove weights after the vest arrives and insert weights over time. The Hyperwear people state that the vest can be (and should be) cleaned regularly without having to remove the weights. A hand wash with a mild detergent of the vest – with weights in – will do the trick. After washing, towel off the vest and hang to dry. You can purchase the Hyper Vest Pro on the Hyperwear website. Hi, welcome back to MelioGuide. I’m Margaret Martin. Today, we’re going to review the Hyperwear Hyper Vest Pro. This is a very nicely designed weighted vest. It comes with multiple little pockets which carry the weights in them and the drawstring on the side that allows you to customize even further the sizing of the vest. As a small person I really appreciate that the small size fits me so well and I can really customize it even more so for myself. It also comes in extra small and extra, extra small which is a really unusual thing to see with weighted vests. The multiple level pockets allows you to build up very gradually on the weights that you’re using. You can start small. I would recommend that you start with the back vest weights first higher up through the mid back and then gradually balance out the weights front and back until you’ve loaded up the weight, the vest and the weights fully. The weight is evenly distributed through the vest. As a result, I never feel off balance while wearing the Hyper Vest Pro — in fact, it is them most balanced fit of all the weighted vests I have tried. Other vests that I have tried can be very tight and can constrict my breathing. Not so with the Hyper Vest Pro. The side panels are adjustable and I can customize the fit to my comfort level. The Hyper Vest Pro material allows for the elasticity. It allows you to even shrink up a little further if you wanted to use it for jump squats or more dynamic movement that you can do that with this vest. The biggest challenge with the Hyper Vest Pro is that it comes with approximately 70 little weights. Individuals who want to start with a low weight vest (and gradually build up the weight) will have to initially remove a lot of the weights. This can be tedious. I will demonstrate how to remove a single weight. Let’s go through the process of taking these weights out. Push the weight from the bottom of the pocket. If you’re just starting out and you are new to weighted vest workouts, I recommendation that you remove maybe 60 of these little weights and then gradually bring them back in as you get comfortable with the vest. The process of putting them back in was a little bit more laborious than taking them out. I found using the end of a spoon really helpful. I noticed on the website that if you purchase extra weights it comes with a little device to help you put the weights back in. Dealing with the little top sleeve is kind of challenging but the end of a flat spoon works really nicely. Hyperwear recommends that you remove all the weights in order to machine wash the Hyper Vest Pro. This can be challenging. People might want to use different weight levels for different activities. Managing the small weights can present a challenge. For example my younger clients they might use a fully loaded vest when they’re doing their squats. However, they might use a half loaded vest when doing their lunges — depending on their strength. They might use a different weight density when they’re use the vest for walking. I want to thank you very much for tuning in, for Michelle in Los Angeles for contacting me in regards to my opinion on the Hyper Vest Pro. I’ve had a Hyper Vest Pro for two years and love it. I have a couple of questions. Since joining MelioGuide I know you talk about the fact that sitting is one of the most compressive activities you can do relative to your spine. On the weekends I wear my vest when I go hiking – I usually put my vest on before I leave home and then drive15 minutes to the start of the hike. Does wearing the vest while you are driving put too much compression on your spine? Sorry – a third question – my doctor advised me that once I start using the vest I need to keep it up – if I discontinue using the vest, I won’t be stressing the bone as much and I’ll lose ground. Is that true? What if you are on a month holiday somewhere and it’s difficult to take along your vest? Would a weighted backpack do the trick? Thanks so much. 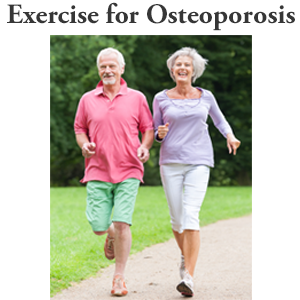 You are a lifeline for people battling low bone density and osteoporosis. Lots of great questions and my answers are based on my clinical opinion. Wearing the vest while sitting will be more compressive, however I would encourage you to lift against the vest. This is a practice I have learnt since teaching Yoga. Elongate your spine to push in an equal and opposite direction to the vest. It must be what the astronauts have to do when they re-enter earth’s atmosphere and experience gravity once again. I am impressed with your dedication! You might want to consider wrapping it in a plastic bag and holding it to your strapping it directly to your back rack. Otherwise, ensuring you are bending from your hips is your safest option. Bone health is a cumulative thing just like, eating well and daily exercise. If you take a few weeks or a month off from wearing the vest your bones will have a break as well. But you will not loose everything you gained, just as you would not loose the benefit of good nutrition or daily exercise. Thank you for your kind words. Glad you find the information helpful. I have read comments indicating that it is not good to have weights weighing down on breast tissue. This vest seems to do that. Is this opinion true? I have never felt the weights “weighing down” my breast tissue but I do have small breast! A proper fitting weighted vest should simply be causing a gentle compression similar to a sports bra. The most a weighted vest is worn is 60 minutes/day. As far as the metal and breast tissue I am more concerned for women who wear underwire bras for 12 hours or more a day. Since the bras are washed the wire gets rusted but that brings up a whole other point for discussion. You should decide on the weighted vest you are comfortable with since you will be the one to wear it. Hope this helps. When I wear my Hyper Vest Pro I do not feel the weights weighing down on my breast but rather gently compression them in the same way a sports bra would. You should wear the type/style of vest that you feel most comfortable with. Please be sure to watch my other videos on integrating the weighted vest into your workouts and how to gradually progress the weight. 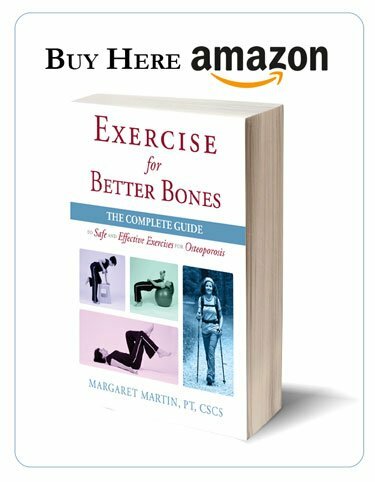 Hi Margaret First, thank you so much for your informative website and books, both of which were a godsend after I was diagnosed. I note that you advise not to wear the vest for more than 60 mins. I was under the impression that you can stress the bones (in a good way) both by increasing the weights, but also by wearing it for incrementally longer periods. So put in a weight & on consecutive days wear it for 30 mins, 60 mins, 90 mins etc until you have it on for 6-7 hours a day, then add another weight & do the same. When you have reached max safe weight put the vest away for 6 months & then start again from scratch. Would this methodology be safe/work from a bone building perspective? I was diagnosed with osteoporosis following chemotherapy at a relatively young age & I am very keen to remineralize my spine in particular. I am also trying a PEMF mat, which I understand the astronauts used to rebuild bone mass. Have you come across that? If so, I would be really interested in your opinion. Thanks for helping us again. 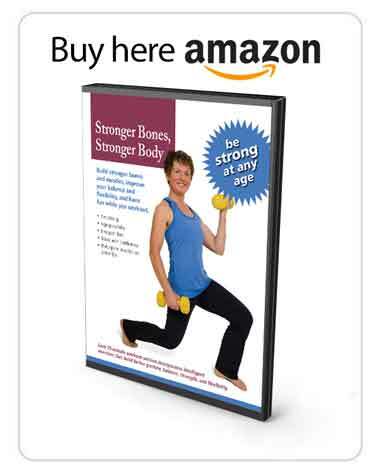 Hi Liz, It is awesome to read your dedication and enthusiasm in building your bones. The protocol you suggest is not one I have seen before. All the studies I have seen using the weighted vest involved wearing the vest for shorter durations. 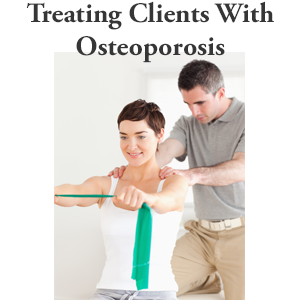 I have several clients that began wearing their vest all day and they all developed plantar fasciitis. I would suggest wearing it during your exercise sessions (when appropriate) with exercises such as squat, lunges, heel raise, step ups. During walks. If you want to extend the time I would gradually -increase to 90 minutes 3 times a day. I am not comfortable with the idea of it being worn it 6 – 7 hours /day unless you are up and about the whole day. But then, I just got back from a hiking holiday and we had our packs on for 4 – 5 hours /day so if you build up to it I guess it is not much different. No comment on the PEMF.